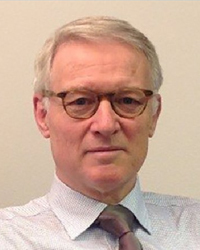 Since May 2018, Stefaan Depypere is an Independent Consultant at SDP Consult c.v. He was born in Kortrijk, Belgium, in 1955. He is married and has 3 children. He graduated with a degree in Applied Economics (Antwerp University, cL, 1976) and as a Commercial Engineer (EHSAL, Brussels, mcL, 1982). In 1986, he started at the European Commission working with Competition, External Relations, Trade and Maritime Affairs, where he stayed for over 32 years. He then took over the responsibilities of Director for International Ocean Governance and Sustainable Fisheries at the EU DG MARE for several years, from 2011 until 2018. His role as DG MARE Director ended recently when he started his own independent consultancy firm, SDP Consult c.v.
During 2014 and 2015, Depypere was Chairman of the ICCAT (International Commission for the Conservation of Atlantic Tuna) and mandate until 2019, First Vice Chairman. He has furthermore taken the role of Chairman of the Kobe process. Currently at SDP Consult, Depypere is lecturing and offering advice on European affairs, Negotiations, Ocean Governance, Trade matters in general and Trade Defense in particular. He delivers analytical reports and guides organizations to achieve strategic goals. Depypere has years of experience in International Relations, Multilateral and Bilateral Negotiations, Ocean Governance, Trade Policy in general and Trade Defense policy in particular, and Strategic Thinking. Stefaan Depypere will be assuming the role of Chairman to the 7th European Tuna Conference. More information about Stefaan Depypere’s background.